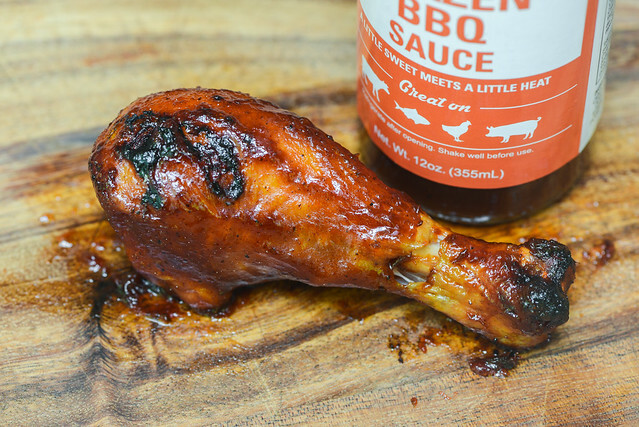 A robust, well balance standard barbecue profile gains uniqueness from mustard and onion to make this an all purpose sauce that stands out in a crowd. I picked up this sauce after the label caught my eye at my local grocery. After some internet sleuthing, there wasn't too much I could dig up about the origins of the brand. 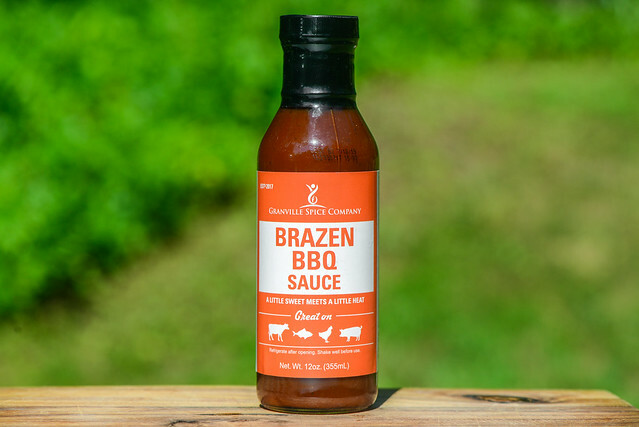 The packaging states that the "Granville Spice Company was created because two engineering minds bonded over their love of playing with fire, grilling meats, and a respect for natural, high quality ingredients." At least one half of that team is Jamaal Fuller, who operates both his sauce company and catering business out of Oxford, NC. It looks like beyond slinging sauce, he's done a bit of competition barbecue as well, but that's about all I could find on the backstory for this one. A heavy, acidic tomato mixes with a heavy dose of molasses to define the first whiff of this sauce. With a few deeper smells, there's enough tart vinegar to tingle the nose and a mustard pungency lingering in the background. 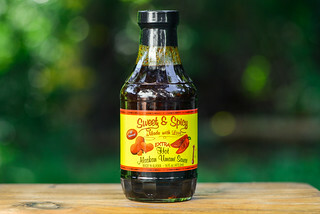 While the sauce's sweetness is most prevalent, there are notes of spicy and earthy peppers as well as a distinct onion powder aroma. This maroon sauce is very smooth with a glossy sheen. It's mostly opaque, but you can see lots of small spice specs mainly in black and white. It has a medium thickness and syrupy consistancy, which has the sauce falling in a even and steady stream off of a suspended spoon. 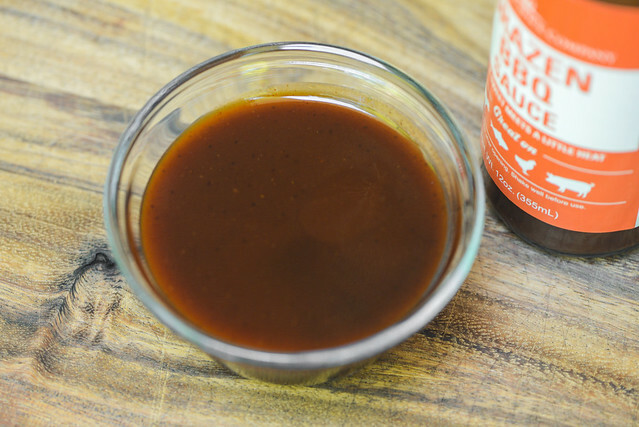 Once most of the sauce has released, the pour switches to a few quick drips before ceasing and leaving a medium coating of sauce left clinging to the silverware. The first thing to strike you with this sauce is its unique balance and progression of flavors. The initial taste is sweet with a molasses depth which quickly mixes with an acidic and fruity tomato. 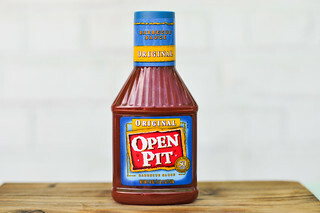 There's a fairly strong onion powder flavor combining with a light mustard pungency too, which is creating the defining difference between a standard barbecue sauce. As the sauce settles on the tongue, vinegar works its way in and turns up the acidity, which only continues to grow as the peppers release a medium heat at the end, leaving a final tart and spicy aftertaste. This sauce coated the chicken in thin and even layer that baked down well over indirect heat. When moved directly over the fire, there was some burn off and quick caramelization, leading to light charring. After being cooked, the balance between sweet and heat was very good, with the initial molasses and tomato flavor staying in tact. It also continued to have that mustard and onion mixture that gave the sauce its unique taste out of the jar. An increased sweetness kept the vinegar more in check, but after a few bites, that tang came into play as well. It took me a few tries until I could decide how I felt about this sauce. As mentioned, it certainly had a more unique flavor that, at first, made it taste like a barbecue sauce that was a little off. But as I tasted it in few different settings over time, I came to appreciate how mustard and onion were coming into play more here to make the sauce something that stood out from the crowd. 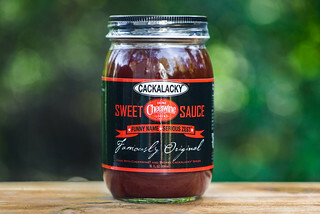 There was also the benefit that the sauce tasted like it came from quality ingredients and hit a good balance between all of the common barbecue flavors including sweetness, fruitiness, tang, and heat. It worked well on and off the grill, with a robust flavor that wasn't so strong that it overpowered the natural taste of the chicken. I think it's a profile that would work especially well on ribs, but could really span a wide spectrum of meats and veggies, making it a decent all purpose candidate.